Online Animal Courses - Take a Course Studying your favourite Animal May 28, 2014 For many know, having a degree is percieved as the natural route to a job working with Animals. 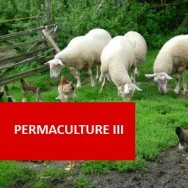 This is probably an old topic for many and even sear..
Fowl Play – Picking your Poultry Course Aug 08, 2014 For the aspiring farmer or self-sufficiency enthusiast, growing vegetables is great. But wonderful as crops are, many people with a bit of land, even in t..
Online Courses - Why are Online Courses so Popular? Oct 08, 2014 This is a collection of thoughts as to why Online Courses are so popular: There are a so many reasons: One of the more popular reasons is access. Many ..
Keeping your Chickens Safe Jun 23, 2015 If there’s one thing a new chicken keeper needs to worry about and plan for it’s the fear of having your new coop raided by preditors. Lines o..
Chicken Keeping for Beginners Jul 23, 2015 If you have a Garden, you can Keep Chickens! Unless you’re unfortunate enough to have an intolerance to them you probably like eggs. And if you l.. I want to know about poultry nutrition.Basicaly i want to prepare broiler feed my self.now pl tell me wether this course help me in formulating poultry feeds in different climate. "Visit one or more poultry growers who specialise in brooders. Find out how they care for their broilers, including feeding, housing, and hygiene and health. If access to farms is a problem - use the internet to find different types of “Virtual Farms” that you can use as examples; or you may research journals and reference books to find relevant information.You will then report on this in your written assignment, based on your own local circumstances, which is assessed and marked by your tutor". 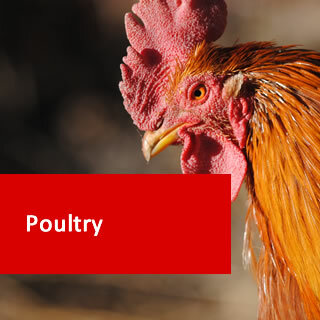 Please note that the course notes of each lesson provide background reading for the subject, but as in most courses, you will be directed to further independent research on your part, designed to increase your knowledge and skills in the Poultry industry. You complete the course by reading, researching and reporting and this method is a proven method to develop a knowledge for life, not a knowledge to just pass an exam. Hi Thomas, you would certainly be in a better position to start up a business once you complete the course, though you may require further study in certain aspects. Lesson 4 on this course is all about layers and Lesson 5 of this course is all about broilers. hi, will this course certificate be used in india for starting up a poultry farm? I am located in UAE do yourll ship the study material here? This course is designed to give you a good grounding for whatever future plans you have for yourself within the Poultry industry. You would certainly be in a better position to start up a business once you complete the course, though you may require further study in certain aspects. We send material all over the world if you purchase a correspondence option, but you also have access to your course materials online. ( Punja Choudhari, 09/02/2014 ) Q: I am planning build poultry farm for my close relative in India, can I request them sign for your coursce ? will it be help full to them India condition ? ( 10/02/2014 ) A: Hi Punja, Our courses are designed for a global audience so it should be good for your relative in India. If you like, you can ask your relative to email us at info@adlhomestudy.co.uk if they have any questions. ( 03/01/2014 ) A: Hello Henry, Yes it's possible, however you do need to allow a few days for your tutor to mark your assignments. Remember that this is one of the key ways that your tutor can assess your understanding of the course as well as counting towards your final grade. By all means, study as fast as you wish to, but just make sure you do not rush handing in your assignments and waiting for feedback unless you are 100% confident that you are submitting your best work. Poultry Course Online - A Certificate course where you'll learn to successfully manage your poultry either for commercial or domestic purposes. This home study course will teach you to manage poultry on a small or large scale, and for production of eggs, meat or young birds. Benefits of this course, why you should study this course? This course comes with our FREE POULTRY Ebook. Select appropriate poultry breeds for use in different production situations. Explain the techniques used in the management of condition, including both feeding, and pest and disease control, of poultry. Explain the management of poultry as layers. Explain the procedures for the management of poultry as broilers. Explain the techniques used in the management of poultry incubation. Explain the management of brooding poultry. Develop management strategies for a poultry business. Distinguish between cross bred and pure bred poultry, being grown in your locality. Explain the advantages of cross breeding poultry for two different specified purposes. Label the parts of a chicken on a supplied unlabelled illustration. Evaluate ten different poultry breeds to determine the most suitable breeds for three different specified purposes. Label on an unlabelled illustration, the parts of the digestive tract of a fowl. Describe the function of different parts of the digestive system of poultry. List the dietary sources of different nutrients for poultry. Describe the function of five different ingredients in specified poultry feeds. Explain how rations of feed are determined for poultry. Describe the feeding of poultry stock in a specified situation. Describe possible dietary disorders in poultry. Describe commercially significant pests and diseases in poultry. Explain the treatment of six different pests and diseases in poultry. Describe a poultry vaccination program for a specified property. Explain the techniques for, and the value of, quarantine procedures for poultry. Describe different housing requirements for poultry. 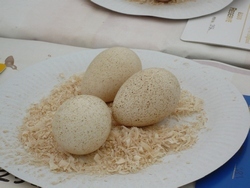 Explain a commercially viable method of collecting eggs, used on a specific poultry farm. Explain three procedures used in an egg production system which are critical to the efficient operation of a specified farm. Describe the brooding period for a typical fowl, on a specified property. Explain how brooders are successfully fed, on a specific property visited by you. Explain appropriate housing for broilers being provided at a poultry farm, as observed by you. Explain how hygiene and health are managed in a broiler production system, as observed by you. Evaluate the successful management of broilers in a specified situation. Describe daily routine tasks carried out in farming of broilers at a poultry farm visited by you. Describe the process of incubation, as observed by you on a poultry farm. Compare natural with artificial incubation methods, to determine appropriate applications for each type. List criteria for selecting eggs for incubation in a specified situation. List five different reasons for poor hatchability. Compare two different incubator designs with respect to cost and application. Describe the management of a specific incubator which the learner has inspected. Describe the characteristics which distinguish brooding poultry from other poultry. Explain how to create an appropriate brooding environment for a specific situation. Compare different types of brooders. Describe the operation of different brooding equipment. 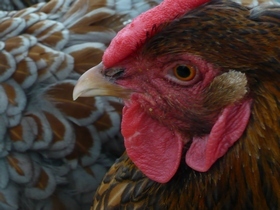 Prepare a timetable of husbandry tasks from hatching to maturity for a brooding fowl. Develop a checklist for monitoring the condition of a brooding fowl. List records which should be kept by a poultry farmer. 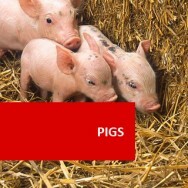 Analyse purchasing procedures for routine supplies, used by a specified poultry farm. List the minimum machinery required for a specified poultry enterprise. Calculate the cost of production, showing a breakdown of the costs, of one marketable produce item in a small poultry business. 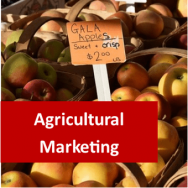 List factors which may be critical to successful marketing for a poultry farm. Explain any legal requirements which apply to a specified poultry enterprise. List poultry products being marketed in your locality. Write a job specification for one member of staff on a poultry property. Prepare a report on innovations in the poultry industry being used in your locality. Develop a detailed poultry production plan. Describe a successful marketing strategy employed by one supplier of poultry products in your locality. Recommend an innovative approach to marketing for a poultry enterprise which you are familiar with. Match credit to business needs of a poultry farm to develop the most suitable strategy for the enterprise. 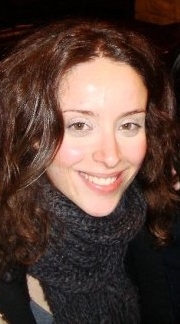 Vicky’s passion for animals led her to obtain her MSc in Applied Animal Behaviour and Animal Welfare, despite her having a background in business and management. Apart from her personal experience with animals, she volunteers at various animal shelters around Greece and has done research on feline behaviour at the University of Prince Edward Island in Canada and on primate behaviour at Edinburgh Zoo. She is currently researching PhD opportunities in the field of animal ethics and studying entrepreneurship for the purpose of creating her own charity for animal protection in Greece. Each lesson culminates in an assignment which is submitted to the Academy, marked by the Academy's tutors and returned to you with any relevant suggestions, comments, and if necessary, extra reading. Course Qualification (Study Option B) Certificate of Attainment from ADL - Completed written assignments only - no final exam. Comparative Credits Information UK Course Credits: 10 - U.S. Credit Hours: 3 - when compared to regulated courses. Course Duration and Deadlines 100 hours approx. Course hours given are a guide only. Work at your own pace with no assignment deadlines or completion date. You are in control!